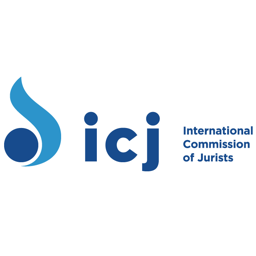 The ICJ is concerned at the reported resignations of federal judges in the Chechen Republic of the Russian Federation following apparent pressure by the acting Head of the Republic Ramzan Kadyrov who had suggested that resignation would be the “most correct decision of their lives”. The ICJ considers these statements, which appear to have led directly to the resignations of federal judges, to be inappropriate interference with the functioning and independence of the judiciary. 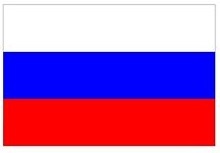 The ICJ calls on the Russian Federation judicial authorities to take all measures within their power to ensure that all judges’ security of tenure is preserved and that any allegations of misconduct are addressed through appropriate disciplinary proceedings that respect the right to a fair hearing. The ICJ further calls on the executive authorities to refrain from any comments which may undermine the independence of the judiciary. On 5 May, Ramzan Kadyrov, currently acting Head of the Chechen Republic, recommended that several named judges should step down. In his post on social media, Kadyrov identified as problems unfair decisions of courts, procrastination in criminal cases, decisions regarding housing and inconsistent decisions. He mentioned that although examples of such decisions were sporadic, they did not help build trust in the judiciary. He then recommended that the President of the Supreme Court of the Chechen Republic, Magomed Karatayev, and three other judges, Takhir Murdalov, Sulyan Yandarov and Zayndi Khusainov, should resign “if they had a notion of honour and professional ethics”. It was reported that two judges of the Urus-Martan City Court and Grozny District Court, Sulyan Yandarov and Zayndi Khusainov, submitted their resignations on the same day. The President of the Supreme Court of Chechnya, Magomed Karatayev, and his deputy Takhir Murdalov, are reported to have already filed a request for resignation. The resignations, apparently in direct response to criticism by the executive, undermine the separation of powers and the independence of the judiciary in the Russian Federation. Under international law, including the right to a fair trial protected, inter alia, by Article 6 of the European Convention on Human Rights and Article 14 of the International Covenant on Civil and Political Rights, the independence of the judiciary must be guaranteed. While judges have an obligation to adhere to judicial ethics and should be held accountable for professional misconduct, the representatives of the executive must refrain from statements which jeopardize the independence of the judiciary. Public pressure from the executive on judges to resign can nullify the security of tenure of judges protected under national and international law and standards. Under international standards, allegations of misconduct against judges should be dealt with by the self-governing institutions of the judiciary, through fair disciplinary procedures. Under the Basic Principles, the only basis for removal of judges is “incapacity or behaviour that renders them unfit to discharge their duties. The comments by Ramzan Kadyrov also run contrary to the legislation of the Russian Federation, which spells out in detail the procedure for disciplinary measures against judges in case of alleged professional misconduct.